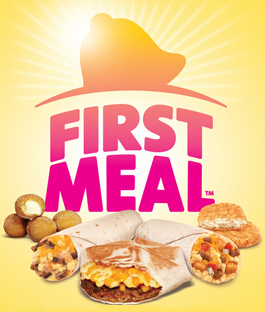 You guys — Taco Bell is serving breakfast now! Exciting stuff, especially for Taco Bell fans like the Kellers. 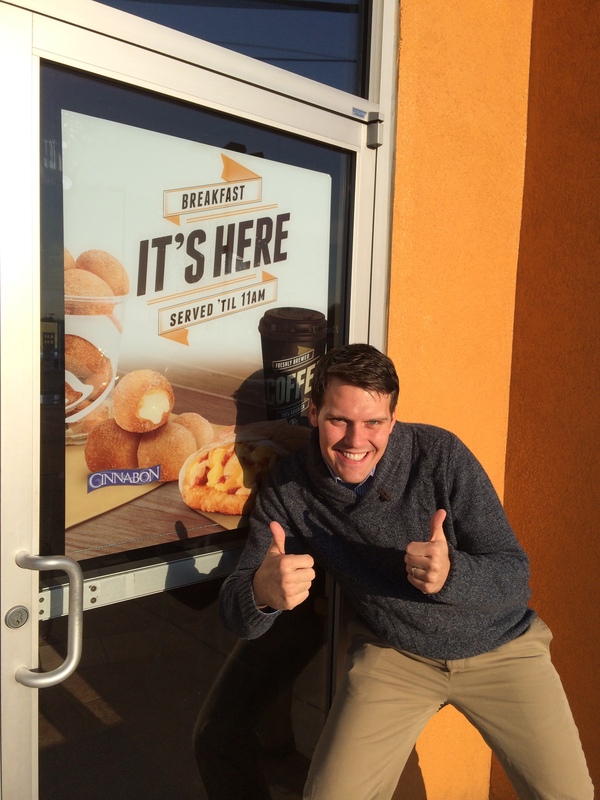 To celebrate this wonderful event, Kevin and I had a Taco Bell breakfast date today before work (yes, today’s the day the breakfast items launched and it may or may not have been on my calendar — don’t judge). Kevin Keller has brought countless wonderful things into my life, and Taco Bell happens to be one of them. Admittedly, I didn’t have any love for Taco Bell until we started dating. And then I saw the light. But back to breakfast. How was it? It was great. 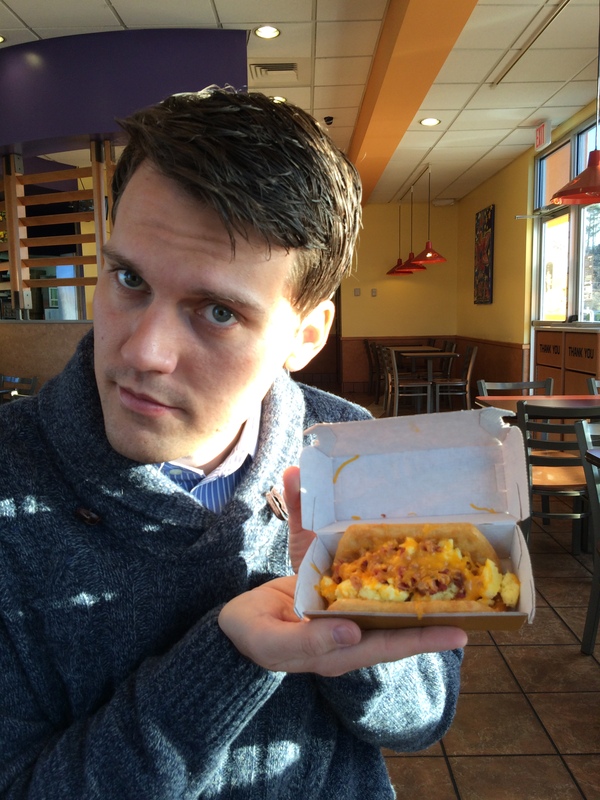 We had bacon breakfast burritos and a bacon waffle taco — both delish. (Coffee was decent, too!) 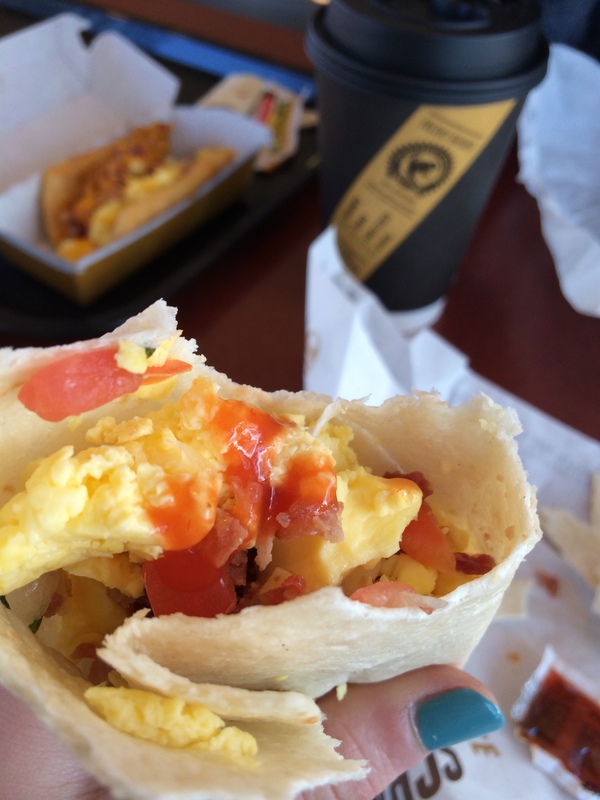 Next trip we’ll have to try the A.M. Crunch Wrap.